Meningitis is a disorder that causes swelling around your spinal cord and brain which can lead to some very serious symptoms. If you have risk factors of meningitis, it may be a good idea to talk to a medical professional about this disorder before you exhibit any symptoms. This can help you be prepared if you develop meningitis. A few risk factors include living in a small community, such as a dorm room or military base, a compromised immune system, pregnancy, or skipping certain childhood vaccinations. If you’d like to learn more about meningitis, the symptoms of different types, and your risk factors, we encourage you to visit your local FastMed Urgent Care clinic today. A medical professional can provide you with more information about this disorder. The first thing to understand about meningitis is that there are two primary types. These are bacterial and viral meningitis. The type you need to be more aware of is bacterial. This is because viral meningitis is fairly mild and caused by viral infections that usually do not require treatment. These symptoms will most likely not occur slowly. They will have a sudden onset, which makes getting medical help quickly all the more important. The most serious symptoms, which require immediate medical attention, include stiffness in your neck, changes in mental state, fever, intense headache, and vomiting. Symptoms may manifest differently in the very young and the elderly. For example, elderly people may have less severe symptoms, while children may seem to only have the flu. Infants are likely to refuse food, cry when picked up, and possibly develop a rash. 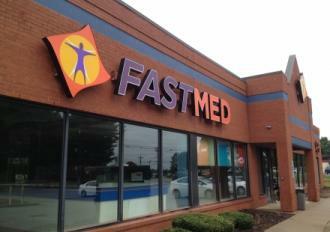 FastMed Urgent Care clinics provide prompt, personal care for non-life-threatening conditions. However, since bacterial meningitis will require hospital care, you should seek emergency medical services if you suspect you or someone you care for has meningitis. If you’d like more information about meningitis or care for non-life-threatening medical conditions, find a FastMed clinic near you.